Have you ever wondered how many different species live within Narragansett Bay’s watershed? Do you want to get up-close and personal with sharks and other marine critters? If you’ve answered yes to either of these questions, then Save The Bay’s Exploration Center and Aquarium is for you! Working at the aquarium for a day was a childhood dream come true. Growing up, I always wanted to be a marine biologist—until I discovered my love of writing. Even as I pursued an education in creative writing, my passion for marine biology never faded. One of my lifelong dreams was to work at an aquarium, and Save The Bay helped me cross that off my bucket list. When I first walked into the aquarium, I was met with a sense of oceanic wonder. A tank of tropical trunkfish greeted me before I even saw the reception desk. 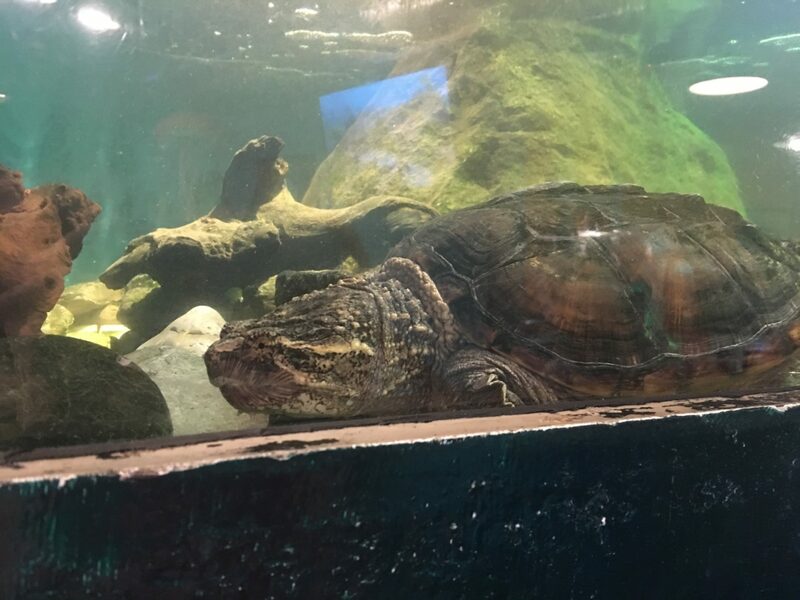 In a large tank on a raised platform, Bowser, the resident snapping turtle, eyed me curiously. I tried not to make eye contact—I’ve always had an irrational fear of snapping turtles. It’s why I like the ocean better than lakes; I’ll take a shark over a snapper any day! I teamed up with Jess, Jessi, Catherine, Gabby, and Lauren, five of the aquarium’s skilled and knowledgeable interns and volunteers, at the front room touch tank, the our guests’ first chance get to interact with the Bay’s denizens. Spider crabs, sea urchins, sea stars, periwinkles, whelks and sculpin find their homes in this touch tank. I sat with Gabby, one of the aquarist interns, to help educate those who were curious enough to visit our exhibit. I found it funny that kids were more willing to interact with the animals than the adults who came in. The tank next to the touch tank contained several larger species of fish that would probably take a finger off if you tried to put your hand in. Team leader Jess showed me that the lone sea raven in the tank has gained a bit too much weight from outcompeting its tankmates—feeding times can get very competitive. I certainly wouldn’t recommend trying to sneak a touch. 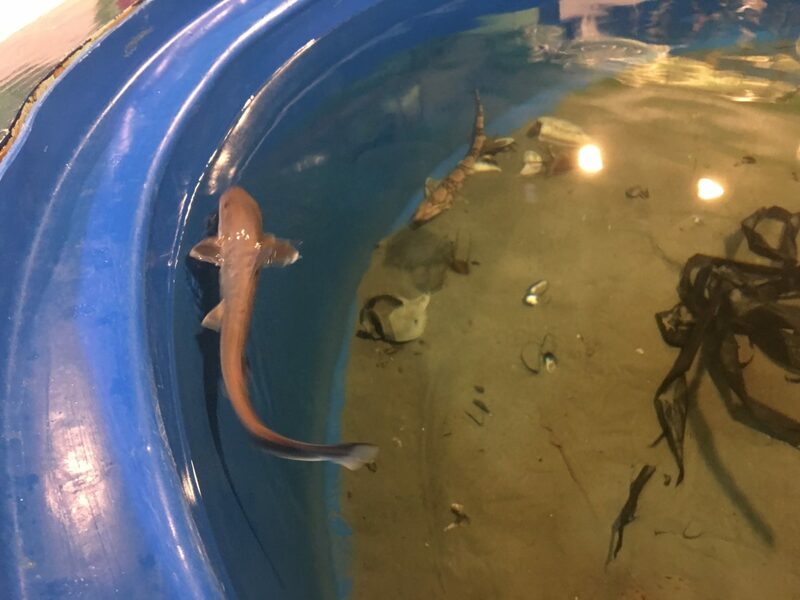 Guests at the Exploration Center and Aquarium can pet this smooth dogfish shark. My main assignment of the day was to work alongside Catherine and Lauren at the other touch tanks in the aquarium. In one tank, little skates and Atlantic horseshoe crabs scurried along the sandy bottom; in the other—one of the largest in the aquarium—swam two species of shark commonly found in Narragansett Bay. When most people hear “shark,” the first thing that comes to mind is probably one of the giants featured on “Shark Week,” but at Save The Bay, we don’t have any great whites on display. Smooth dogfish and chain dogfish (also known as catsharks) are the most common species of shark that live in Narragansett Bay. These sharks can grow up to four to five feet in length and prey on shellfish, crustaceans and marine worms. Their teeth are flat and blunt—much different than the spear-like teeth of most other shark species. Though the nocturnal chain dogfish slept through the day at the bottom of the tank, the lone smooth dogfish, a juvenile male, who circled around the tank was a curiosity for those who came to visit. He routinely poked his head out of the water in an action called “spy-hopping” to get a good look at anyone who peered over the edge of the tank. Dogfish have sensors in the tips of their noses that allow them to detect our heartbeats. I spent so much time at the shark tank that I think he began to recognize me as a safe entity; I was among the few people that he allowed to pet him—out of the dozens of people that visited the sharks. 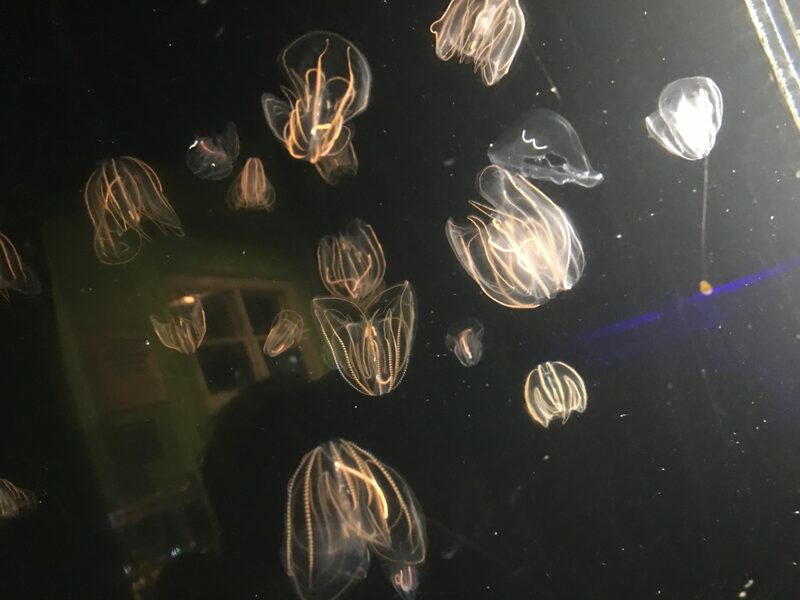 The comb jellyfish tank shows off the bioluminescence of these animals. My personal favorite exhibit was the comb jellyfish tank. Comb jellies are small invertebrates that can produce bioluminescence—light emitted from living organisms. Comb jellies also refract light, producing a rainbow effect throughout their transparent bodies. Who could guess that such simple animals like these could produce a mesmerizing, ethereal beauty? Jessi and I were tasked with maintaining the jelly tank. The jellies are fed frequently, which means the tank has to be cleaned often. Siphoning excess food from the tank is a delicate process, as one slip can mean death for a misfortunate comb jelly that gets too close to the siphon. 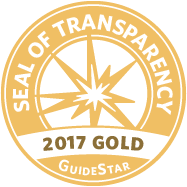 Making the task even more difficult is the fact that the translucent jellies are nearly invisible depending on how the light hits them. With the tank thoroughly cleaned, new food is added. Jessi showed me the on-site brine shrimp hatchery where the aquarium hatches hundreds of thousands—if not millions—of tiny shrimps that are fed to the ravenous jellies. We drained the hatchery, fed the jellies, then refilled the hatchery with new water and millions of eggs to start the process again. After caring for fish in my own home for over 15 years, my assigned jobs such as transferring fish from one tank to another and prepping for the day’s feedings were easy for me to manage and fun all the same. The last time I studied and discussed the different species of the Bay was almost a decade ago when I was a counselor-in-training for Save The Bay’s summer camps. The chance to volunteer at the aquarium brought a giant wave of nostalgia over me, as I remembered how much fun I had as a child exploring Narragansett Bay. Save The Bay’s Exploration Center and Aquarium is open all year-round and is always looking for new volunteers. If my schedule opens up, I may just head on over to volunteer again. It really was a dream come true.